Aha! 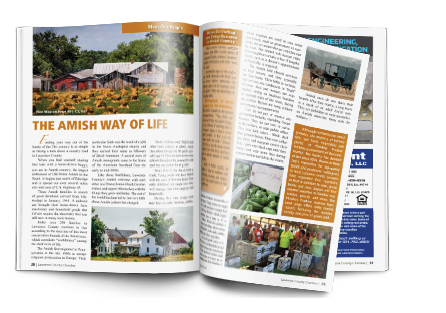 recently completed a 92 page Marketing/Tourism Magazine for Lawrence County, Tennessee. We are so thrilled the Lawrence County Chamber chose Aha! Creative Press to design and publish this magazine. We would like to thank Beth Keaton, Nancy Brewer, Ethan Hadley and Ryan Egly for the huge contributions that made this project a success. We are looking forward to working on the next issue! We are very proud of this comprehensive website that combines the needs of a municipal website with the demands and functionality of an economic development site. The result is a fully responsive website that includes quick access to the information necessary for the citizens of the city, along with targeted interactive access to the technical economic development data site selectors require. Click here to visit the site to see its full functionality. 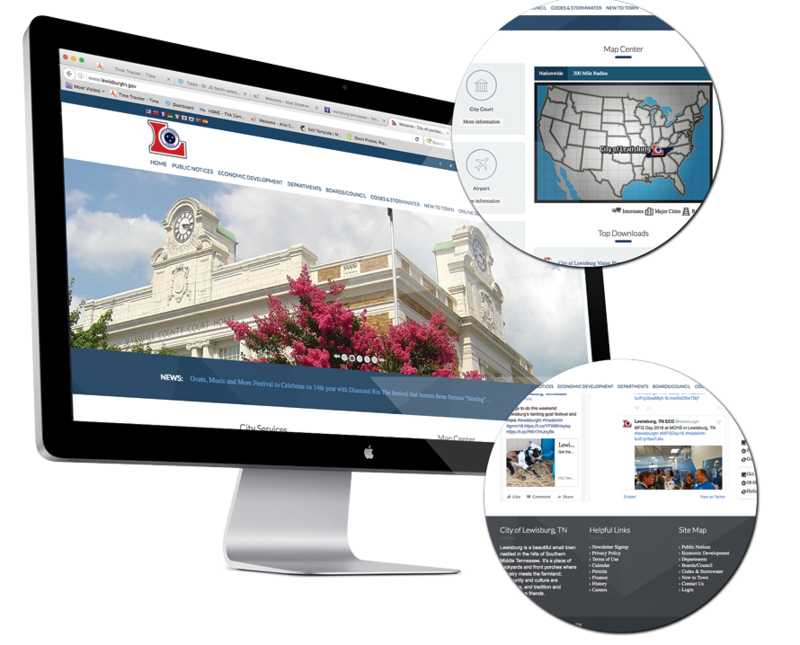 "As Economic Development Director for the City of Lewisburg, having a great website is one of the most important tools for growing and attracting new business, industry, commerce, visitors and residents. We looked at several website designers and we chose Aha-Creative and The Next Move Group because they had the best ideas and design, provided the best customer service and offered a little something extra. The staff at Aha! Creative walked us through every step without overwhelming my staff and me with technical jargon. They provided the patience we needed to succeed and take control of our beautiful, functional, new and improved website.This website offers the local economic developer something extra - the knowledge of what companies and site selectors require from a website when searching for new locations. They provided the data and the expertise to help shape the website into one that I am prepared to submit at the Southeast Economic Development Council Annual Conference for a potential award of excellence and recognition this summer. Stay tuned.